You can learn a lot about a church from its website. Not long ago I researched a church in another state, and I could tell it cares about community. From the small groups offered to the pictures of smiling people drinking coffee together, this congregation clearly works hard to make connections. After watching a few online interviews, it was obvious they value friendship. Sadly, it wasn’t obvious they value Christ. I imagine they do. They’re a church, after all. But it wasn’t plain from anything I saw that they care most about proclaiming, exalting, and walking in a manner worthy of him. A community is an organized group of individuals united by a common trait. It could be a love of fly fishing, Harry Potter novels, or political activism. There’s something powerful, fulfilling, and comforting about meeting up with others who share an interest. Certainly churches ought to emphasize themselves as hubs of community, right? There’s no doubt that when we ransack the pages of the New Testament we find pictures of profound community. There was a “day by day” quality to the koinonia of the early Christians (Acts 2:42–47). The church did more than gather on Sunday. 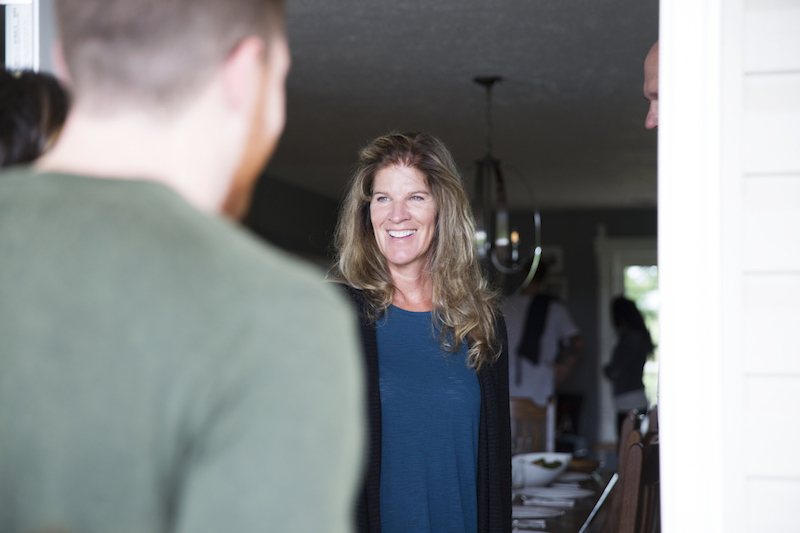 New believers spent time in one another’s homes, breaking bread and sharing life. Paul promoted this church-as-family model. When writing to the believers in Thessalonica, he remarked how much he loved them, and how thankful he and his team was to have shared with them not only the gospel, but also “our own very selves, because you had become very dear to us” (1 Thess. 2:8). The apostle modeled what his Savior taught him. Jesus exhorted the disciples to practice community. After humbling himself and washing their feet—communicating intimate care and concern—he said, “You also ought to wash one another’s feet” (John 13:14). And in case they didn’t quite grasp his point, Jesus added a new commandment: “Just as I have loved you, you also are to love one another” (John 13:34). Jesus valued community. Over the years I’ve seen countless examples of Christians caring for each other, putting the interests of others first, and generally sharing their lives. Cancer-plagued believers being driven to chemo treatment by brothers and sisters in Christ. Couples learning how to care for children with special needs so that tired parents can have a night out. Families opening up their homes to welcome singles on a weekly basis. Community is biblical, and it’s important. But it’s not the whole story. Community is the fruit of Christ-exalting worship. Community is not what we’re to aim for; Christ is. And when we find him (or, rather, when he finds us), community naturally follows. Take Acts 2, for example. A desire for fellowship didn’t bring the early disciples together. No, the objective truth of the risen Messiah kept them in Jerusalem and made them eager to receive the apostles’ teaching (Acts 2:42). Paul willingly shared his whole life with the Thessalonian believers. But what united them wasn’t Paul’s love or their love. It was the gospel that had come “not only in word, but also in power and in the Holy Spirit and with full conviction” (1 Thess. 1:5). When Paul exhorted Timothy to faithfulness in ministry, he never told him to build community. Instead, he urged his disciple to “preach the word; be ready in season and out of season; reprove, rebuke, and exhort with complete patience and teaching” (2 Tim. 4:2). And when Paul cut to the heart of his own ministry, he put it simply: “Him we proclaim, warning everyone and teaching everyone with all wisdom, that we may present everyone mature in Christ” (Col. 1:28). Paul never pitted Christ and community against one another. But he did prioritize Christ. Paul knew, like his master, that wherever Christ is championed, community is created. Relationships are deeper and richer when our ultimate confidence is in Christ and not one another. When you live as if other people can meet all your needs, you will be regularly disappointed. You’re asking them to do something no person can ever do—give you the happiness you so desperately want. But when Christ is your confidence, someone is freed to be your friend, not the god you rely on to meet all your needs. As a pastor, I love to push my people into one another’s lives. God made us to need each other. He made us to live together as a family of faith. This is why I so often quote Hebrews 3:13: “Exhort one another every day, as long as it is called ‘today,’ that none of you may be hardened by the deceitfulness of sin.” As Paul Tripp put it, we’re to be instruments in the redeemer’s hands, instruments of grace in each other’s lives. So how do we keep Christ front and center? It starts by ensuring the Word is proclaimed whenever we meet as a church. The Bible is the Word of Christ, and where the Word is rightly taught, Christ is rightly proclaimed. This is obvious when we gather on Sundays, but it should happen whenever we gather as a church. Beyond our public meetings, we strive to speak of Christ warmly and often in personal conversation. It’s relatively easy to gather as the body of Christ and listen to sermons, sing Christ-centered lyrics, and engage in Christ-exalting prayers. But what you really value—what is front and center in your life—comes out in your conversations throughout the week. There’s always time to discuss college football, politics, and the latest fashion trends. But we all face the danger of neglecting to naturally talk about Christ as well—how he’s changing you, and how much you need him. Whether we’re gathered or scattered, staying tenaciously focused on the true King is the secret to true community. Recently Christianity Today reported some statistics on why people start looking for other churches. Lots of reasons were given, from moving out of the area to disagreeing with the pastor. Only 2 percent of respondents indicated they were looking for another church because they “wanted more community.” I’m convinced the actual number is much higher. It’s easier to say you’re leaving the church because you’re dissatisfied with the worship experience than saying you’re leaving because you don’t have friends. It’s hard to admit you’re lonely. So what should you do if you aren’t experiencing the kind of community you want? Pray for your church faithfully. Pray the body of Christ you’re part of would grow in this area. Churches fall short. No church is perfect. So pray your church would be so filled with Christ’s love that it would overflow into personal relationships within the church. Examine yourself. Are there patterns of behavior in your own life that serve as obstacles to the community you desire? Maybe your work schedule makes the kind of face time needed to live together difficult. Perhaps you’re prioritizing certain hobbies over gathering with God’s people (Heb. 10:24–25). Maybe, for whatever reason, you’ve kept others at arm’s length—refusing to let them really get to know you. Consider how you could make a greater effort to create the community you want to see. Seek solace in Christ. True community is never found by looking for it. It can only be found by pursuing Christ. He understands loneliness better than we do. Jesus hung alone, deserted by his closest friends, bearing the shame of sins he never committed. He knows what it’s like to be ignored, abandoned, overlooked. Fallen humans are inherently disappointing. Only Jesus is perfectly fulfilling. So let your seasons of loneliness point you to his sufficiency. We all need community. We just need Christ more. Aaron Menikoff (PhD, The Southern Baptist Theological Seminary) is senior pastor of Mt. Vernon Baptist Church in Atlanta, Georgia, and author of Politics and Piety (Pickwick, 2014). When Should We Partner with Churches That Don’t Share Our Beliefs?